When we were kids, every year for our birthdays my dad would take me and my siblings to Toys R Us. For our present, we were allowed to pick out one item from the store. My brother and sister would rush down the aisles and immediately pick out their toys and the whole thing was over in 30 seconds. They were impulsive and knew what they wanted. When it came time for my birthday, I would slowly walk up and down every single aisle, pondering over the merits of this toy versus that toy - unable to commit until I had analyzed the value of every toy in the store. It was infuriating to my dad (and eventually resulted in him putting a time limit on the whole process). But to me, the process of the search brought me as much joy as the toy itself. So I took my time, basking in the wondrous joy of each item. 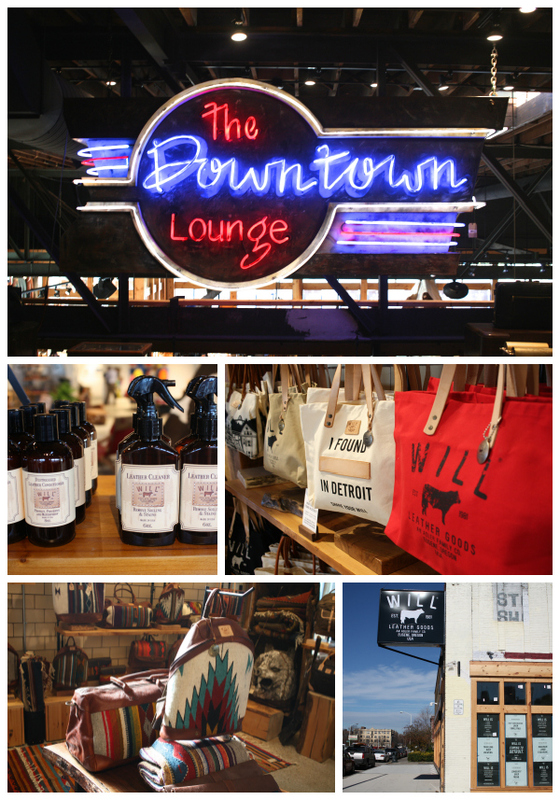 For me, shopping at Willys Detroit is no different. 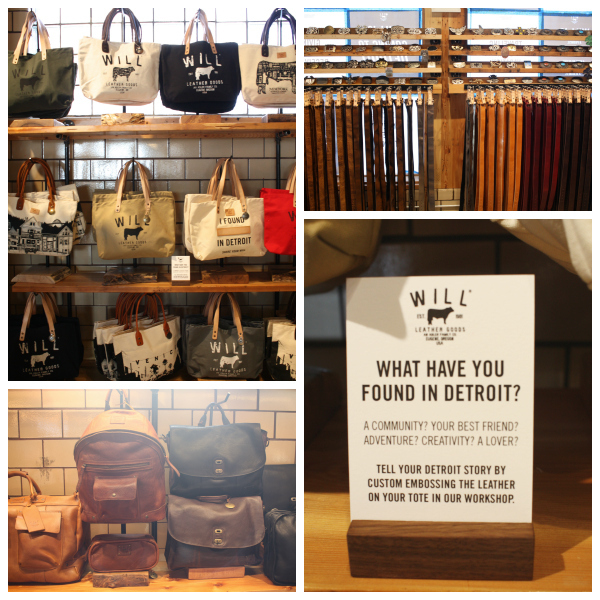 Earlier this month, Willys (sister store of Shinola) invited me to collaborate with them for their first (of many, I hope) Style Slam event. Stylists and fashion bloggers from around the country were brought in to sip cocktails and play dress up with their merch. Tough job, right? Part of the collaboration involved shopping for a look to showcase on the blog. I immediately reverted back to my 7 year old self. I walked all over the store, picking up and touching every piece in the store. Noticing each intricate detail. Trying on everything (including several of the menswear pieces) in order to find that perfect item. 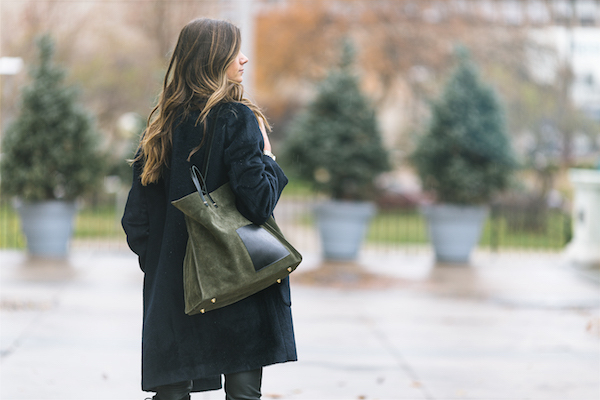 After several separate trips to the store, I finally decided on this Clare V. tote (the very first item I noticed) and this alpaca Steven Alan coat (the last item I tried on before leaving the store). And like when I was younger, the joy of browsing and daydreaming about every single piece in the store brought me as much joy as my final selection. Well, almost as much joy. 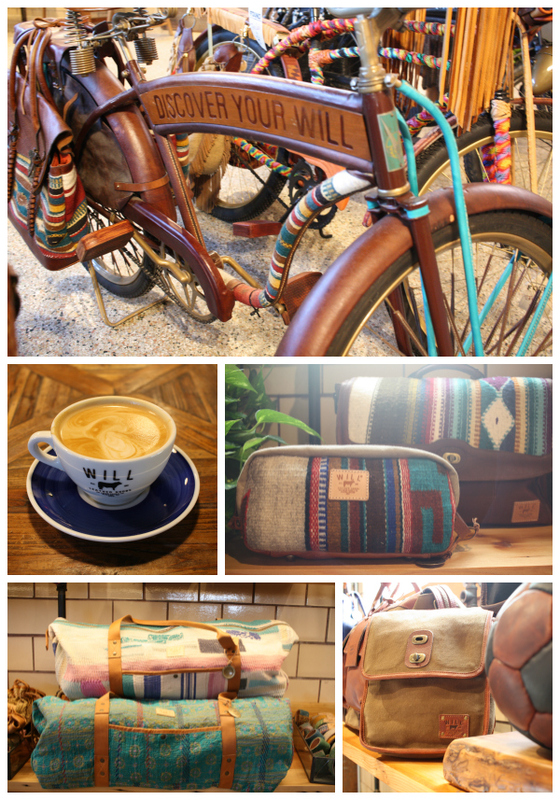 Want to get your hands on your own pieces from Willys? 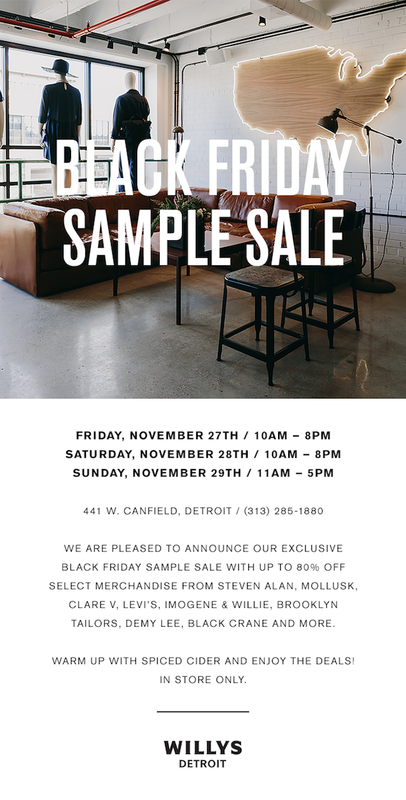 Check out their holiday sample sale, where select pieces are up to 80% off. And thanks again to Willys and Shinola for inviting me to spend days playing dress up in your store. And for not eventually putting a time limit on my indecisive decision making skills. And also thank to Remy Roman for prancing around Detroit in the 50 mph hour winds and freezing rain to capture my Willys finds. It’s the most wonderful time of the year. Seriously, the best. Holiday season is upon us and there’s nothing I like doing more than celebrating (whether it’s giving thanks or being marry and bright). 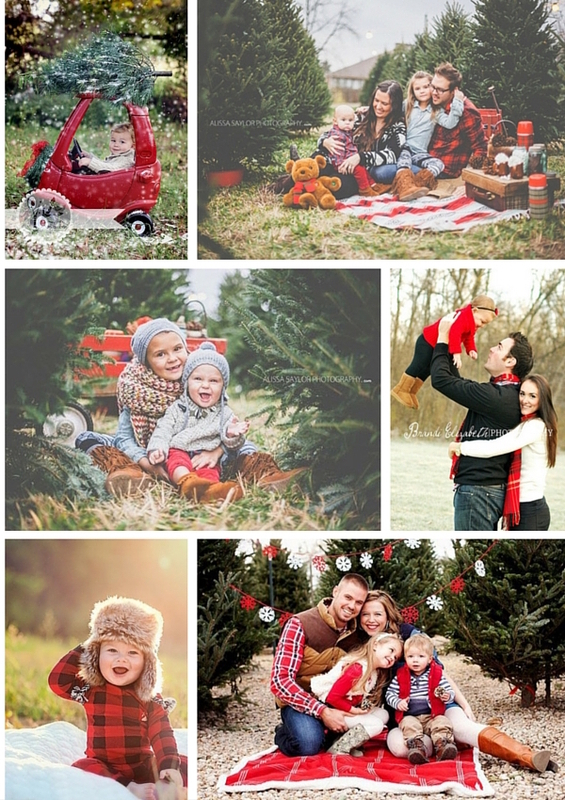 It’s also the time of year families start thinking about holiday cards to capture and share all that cheer. And now that we live in a world where Pinterest exists and expectations are raised, there’s extra pressure to make your holiday card stand out. 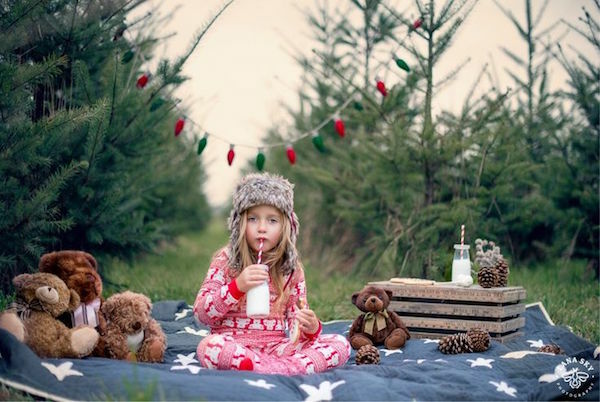 To help you make the most of your photos this season, I’ve teamed up with photographer Laila from Studio 11.11 to provide you with some tips to make your family pictures extra jolly. First of all, let you personality shine! Gone are the days of stuffy studio portraits, which are instead being replaced by family photos full of fun and creativity. 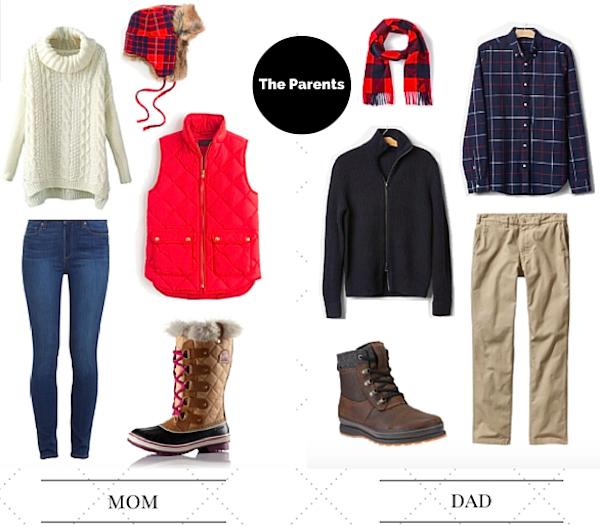 Think less “sunday best” and more "romp in the snow": fair isle leggings, plaid, and flannel. 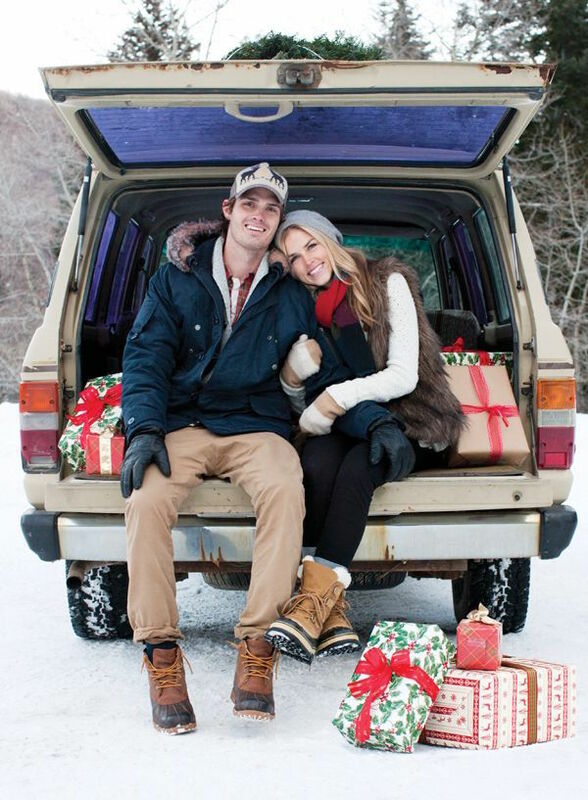 Pile on accessories like fur trapper hats, mittens, scarves, and fur lined boots. Think color and patterns (especially for the kids!). 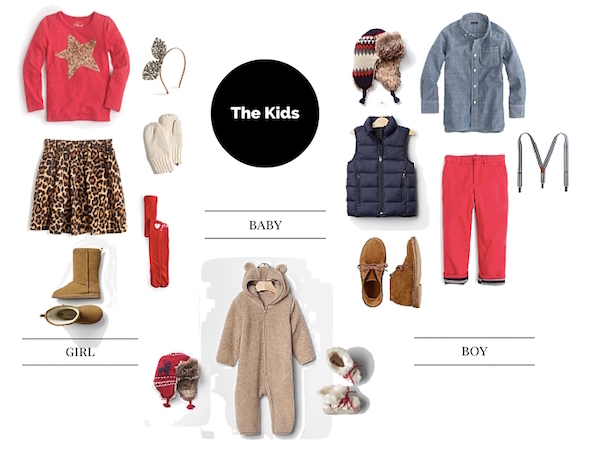 And don't feel like you have to stick to traditional holiday colors, but make sure your family coordinates. Coordinates, not matches. Let's try and avoid the family photos where everyone is in identical uniforms. Come up with a color scheme and have it weave throughout the entire family. And since this is winter, don't forget to layer! 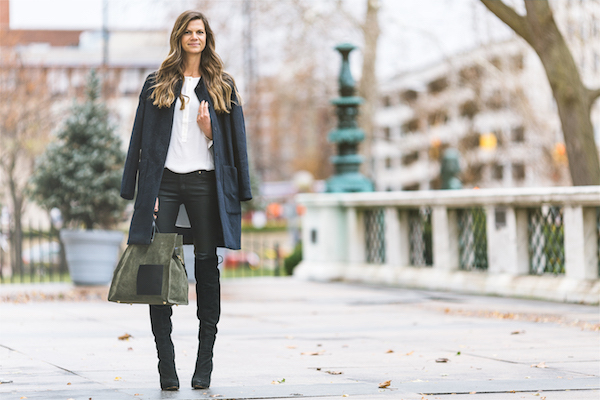 Layers and textures add visual interest to a photo and allow your personal style to pop. Finally, relax and have fun! If you're stiff, the photos will be stiff. Be silly. Laugh. Goof around. Remember, holidays are whimsical. Your holiday cards should be too. For more photos and to see these tips in action, follow Studio 11.11's Facebook page. We all have uniforms that work for us. The outfits you repeatedly grab. The clothes that - when you're in a rush to get dressed - are your no-fail pieces. The clothes that work for you. The clothes you feel great in. This is an example of that outfit. 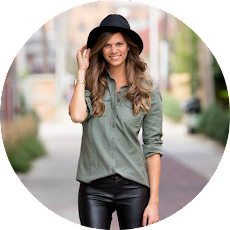 For me, my no-fail outfit combination is a skinny pant, a slouchy top, heels, and a blazer. Some people think of this uniform dressing as boring. For me, it's practical. As much as I'd like to spend hours a week picking out new outfits, I don't have that kind of time. No one has that kind of time. So we have a uniform. This is my uniform. What's yours? 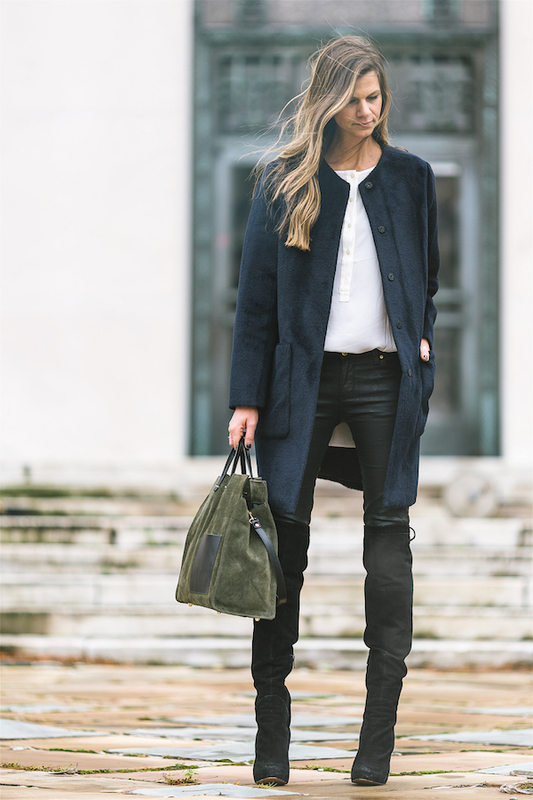 A coat is a great investment piece, especially if you live in a cold weather place like Detroit! 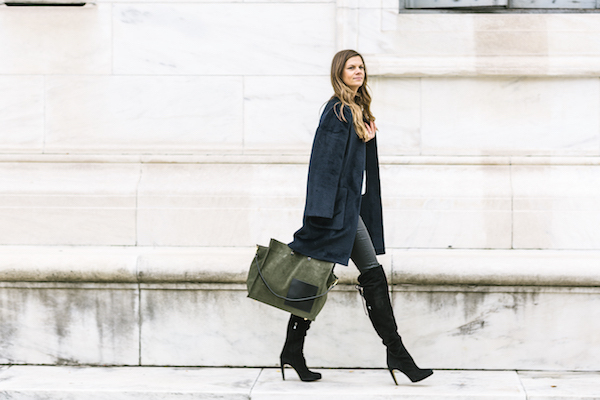 During the frigid months, oftentimes our outerwear is the only piece of clothing that is seen. 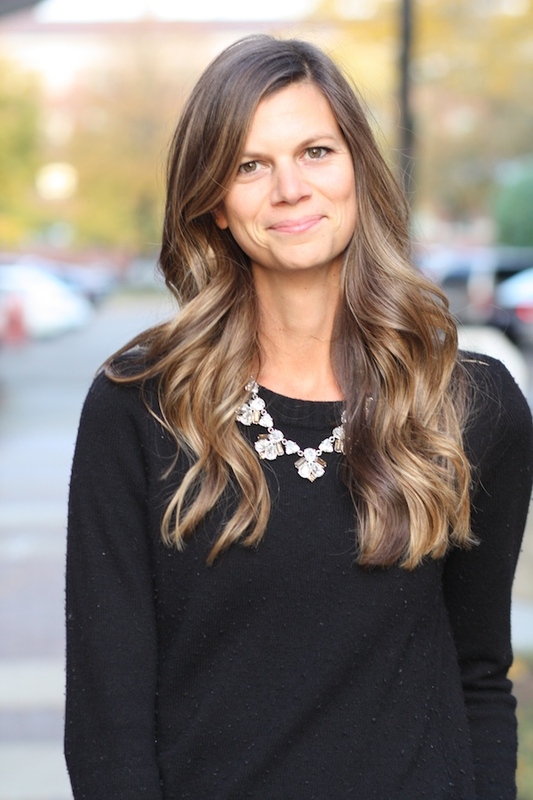 It's also a wardrobe staple that can pull together an entire outfit - which is especially important during interviews, networking events, and other work functions where it is important to make a good impression. 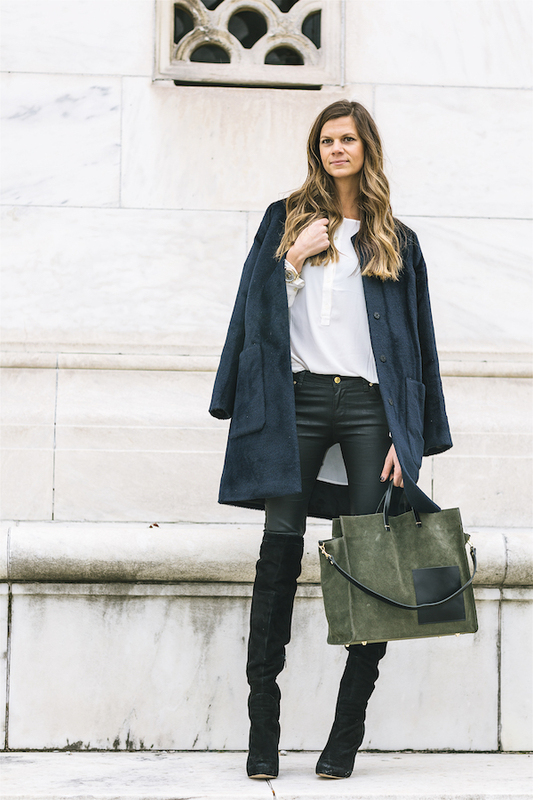 If you are going to only invest in one coat, I'd recommend a knee length wool coat - a piece that is both versatile and practical. A neutral color - like black, camel, or gray - will certainly go with everything in your closet, but I would also consider color as well. 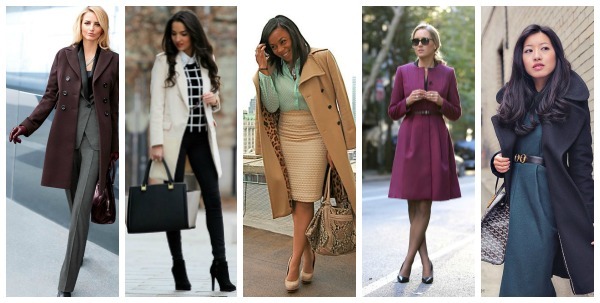 A colorful coat can really brighten up those dark winter days! I've put together a list of my favorite finds (all under $200). Find out all the details and where to buy here! 'Tis the season to be jolly. And fancy. And festive. I love this time of the year - the time of the year when the cold doesn't bother me and twinkle lights line the streets downtown. It's also the time of some of the best events in the city. Hello, holiday dressing. 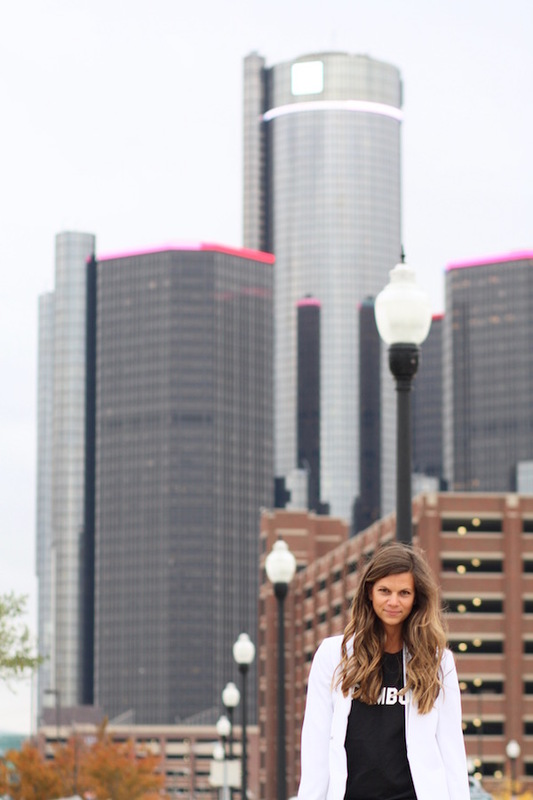 Check out some of my favorite upcoming Detroit events. Come see some incredible local fashion talent and support two amazing non-profits. Win-win. and the local Common Ground Hope Centers of Michigan. Walk the Red Carpet to enjoy a night of elegance, local fashion, style, art, silent auction, adult beverages 21+, and appetizers! 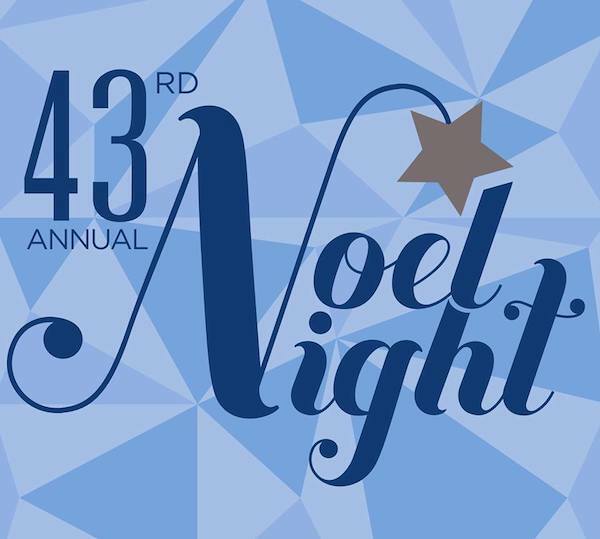 Featuring Local Fashion & Accessory Designers, Artist, Vendors, and Talent"
You had me at Vintage Christmas Ornaments. 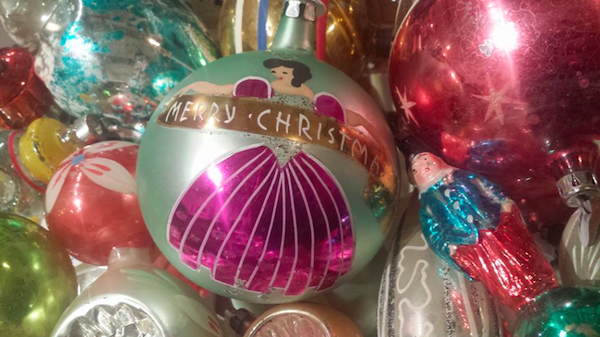 "A treasure trove of nearly 1,000 vintage glass Christmas ornaments, lights, and garland will be offered for sale. Most date c1900's-1960's, all colors and shapes. Handpainted and handcrafted in Germany, Poland, Italy, Japan and the US. Get your holiday shopping off to an early, easy start." 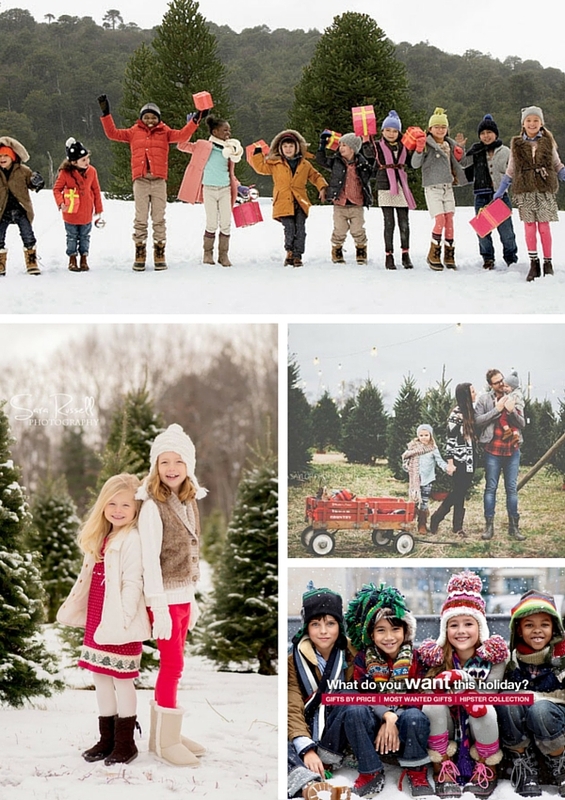 Come shop for all your festive holiday outfits! 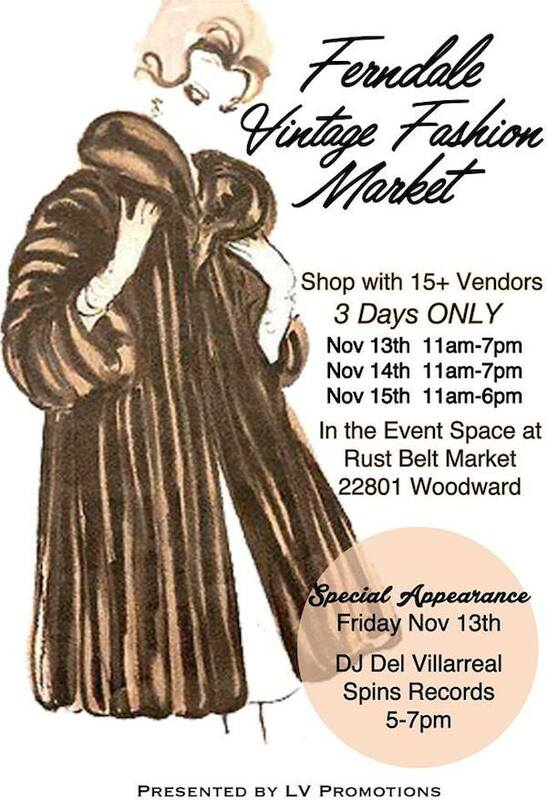 "Shop with 15+ fab vintage apparel vendors for 3 days only in the event space at The Rust Belt Market." 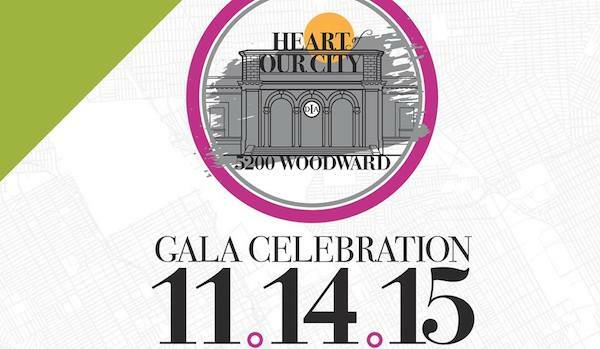 Support the DIA and dance the night away one of the museum's best events! 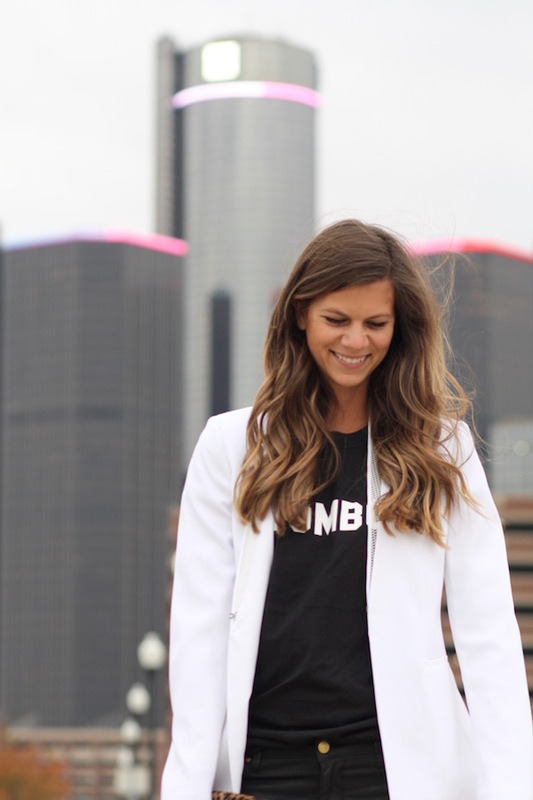 Check out the best local fashion Detroit has to offer! 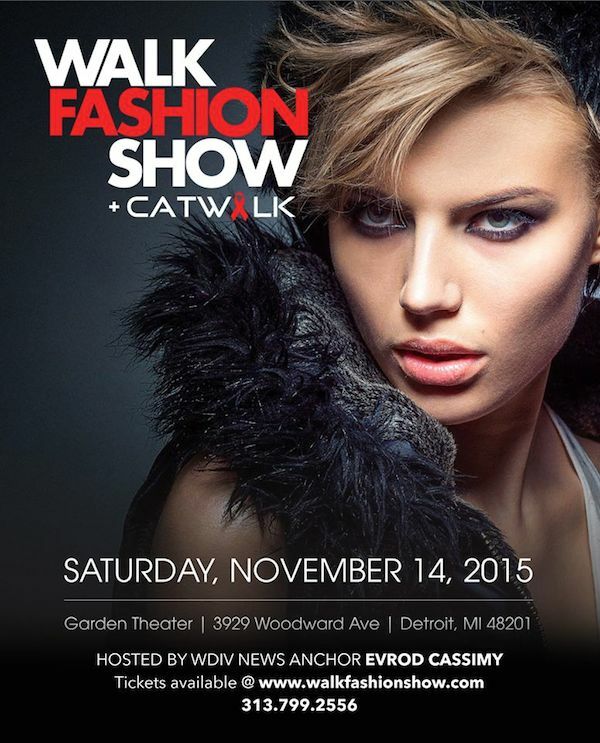 "Walk Fashion + Catwalk are bringing you the latest in Fashion. Designers from all over the world are coming to rock the runway. Special guest host Detroits own Evrod Cassimy from channel 4 News. You dont want to miss this EPIC Fashion Event." 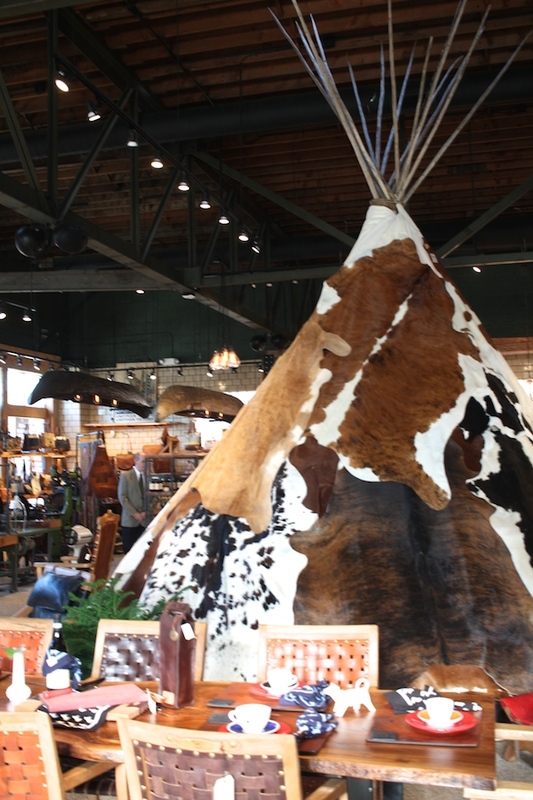 Sing carols, sip cocoa, and explore Midtown's best retailers and restaurants! 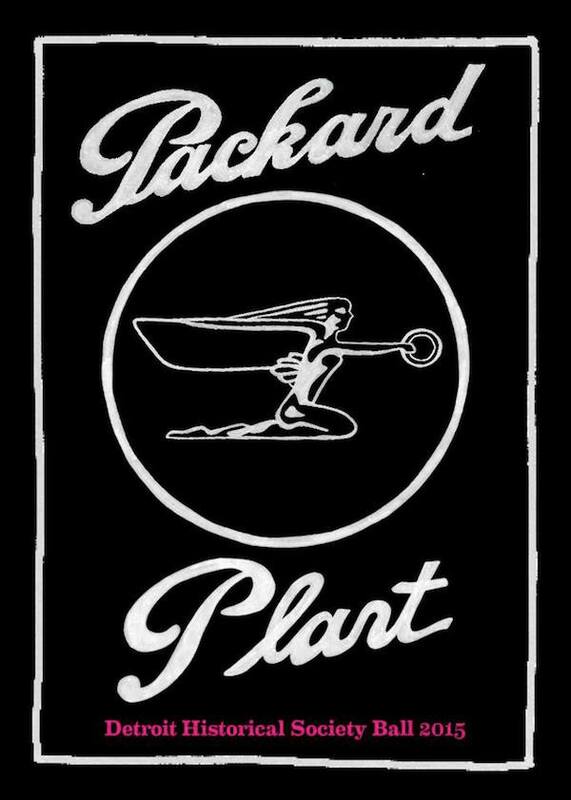 Get fancy and explore the Packard Plant! What events are you excited to attend this holiday season? Next week I have the opportunity to speak about a modern woman’s working wardrobe at an Inform meeting. I started thinking about my own professional wardrobe (or at least my past professional wardrobe when I actually worked in an office) and I started brainstorming different ways to be office appropriate but still express your personal style and personalty. My favorite way to do that (both in and out of the office) is with a pair of statement pants in an office appropriate cut. These pants could just as easily be paired with a button down and blazer for a more traditional office environment or paired with some flats and a sweater for a more casual workplace. Other ways to add some flare to a modern work wardrobe? Through colors, textures, and accessories! Add a bright blouse with your pencil skirt. Pair a wool blazer with a silk cami. Elevate your favorite outfit with a statement necklace. 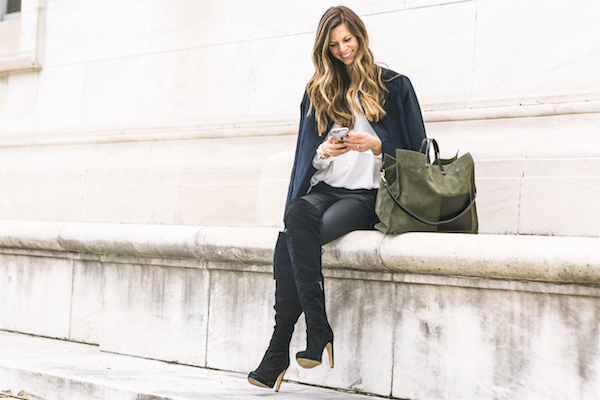 Leave the boring clothes behind and show your personality in your work wardrobe! 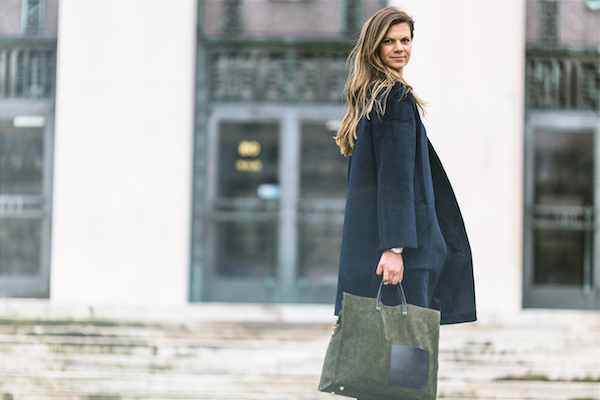 How do you show your personal style while maintaining your professionalism in the work place?